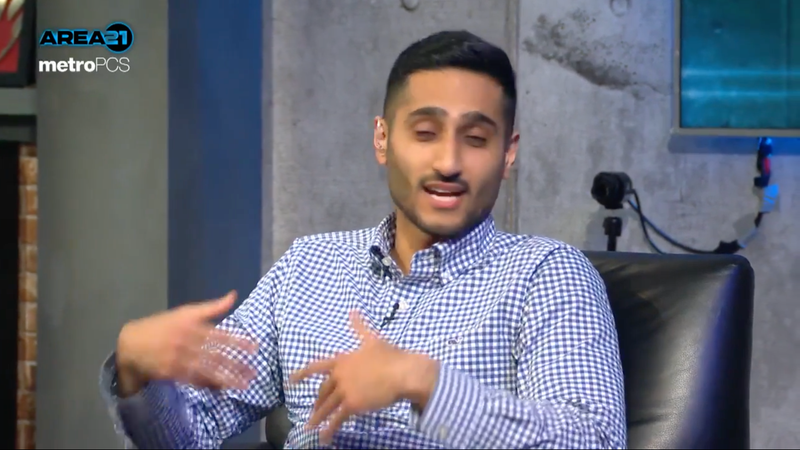 Shams Charania is an NBA reporter for The Athletic and also works as an “NBA insider” for the “digital television sports network” Stadium, which was founded and is co-owned by Chicago Bulls owner Jerry Reinsdorf. An NBA reporter having two different jobs in the same field, one of which makes him the employee of an NBA owner, is a shady enough circumstance on its own, but things got weirder this week when Charania published a cushy profile of Derrick Rose on The Athletic without disclosing that at his other job, at Stadium, he and his coworkers are in the process of producing and shilling a Derrick Rose propaganda documentary. That includes a real look into the life of former Bulls star Derrick Rose, who has had a camera crew with him every day for the last six years to film a documentary. Stadium and Rose’s agent, former Bull B.J. Armstrong, came together on the film — titled “Pooh,” Rose’s nickname — which will debut in February. The film, which sounds less like a documentary than like Players’ Tribune-style brand advertising—it will feature behind-the-scenes video footage provided by Rose and his agent—dates back to when Rose was still playing on the Bulls, which, again, are owned by Reinsdorf, the co-owner of Stadium. Reinsdorf’s employee, Charania, who has hyped the film both on social media and on the radio, didn’t mention any of this in the very friendly Rose profile that he wrote for The Athletic in his capacity as an NBA reporter. The issue here isn’t just that Charania is doing PR work for Derrick Rose in his capacity as an NBA reporter—though that’s certainly embarrassing for other reasons—or that he works as an NBA reporter while also being paid by an NBA owner. The specific problem in this case is that readers of The Athletic aren’t getting the full story. Anyone who read Charania’s profile of Rose can’t be expected to know that Charania also receives a paycheck from people who are working directly with Rose to produce a mythologizing documentary, and thus they would have no reason to question Charania’s credibility as the writer of that profile. But there is reason to question his credibility in this case, and it falls on The Athletic to offer a full disclosure of Charania’s relationship with Stadium, Reinsdorf, and Rose so that readers can decide for themselves how to interpret his work. The Athletic’s chief content officer, Paul Fichtenbaum, did not return multiple request for comment, and neither did Stadium’s media relations department. Charania also did not respond to multiple requests for comment, though after Deadspin reached out to him Friday, he did remove the Stadium tweet advertising the Rose documentary from his Twitter timeline. Shams is a talented journalist and The Athletic stands behind his reporting. Separately, his relationship with Stadium is clearly noted in the author biography that appears alongside every story he writes for The Athletic. Lastly, there is no commercial or editorial arrangement between the two companies. Patterson did not answer a followup question about Charania deleting the Stadium tweet advertising the documentary.